We also provide a Podcast feed of all our audio and video content, which can be viewed in iTunes or any other podcast client. Please note that only audio and video content which is quicktime or mpeg compliant will be included in this feed, as this is a reqirement of iTunes. To view non-quicktime compliant media such as windows media files please use the audio, video or media feeds listed below instead. This feed contains all the audio published to the site in most of the well known formats. This feed contains all the video published to the site in most of the well known formats. This feed is registered with Democracy TV which is a great way to easily access all of our video. 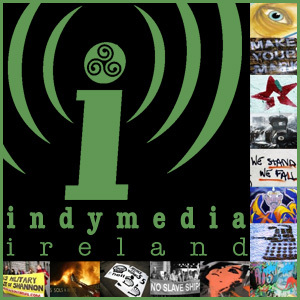 Just download the program and serach ofr Indymedia in the channel guide. This feed contains all the audio AND video published to the site in most of the well known formats.